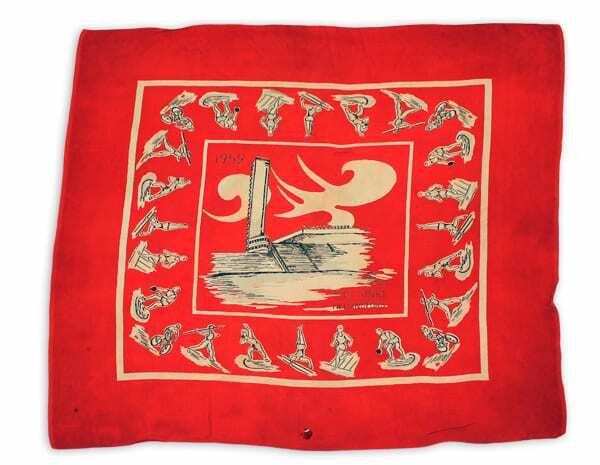 Description: Red scarf, with white and brown patterns. In the middle section a part of the Olympic Stadium (including the tower). In the outer frame athlete figures practicing (in repeating sequence) javelin throwing, shot putting, gymnastics, running, discus throwing and cycling.